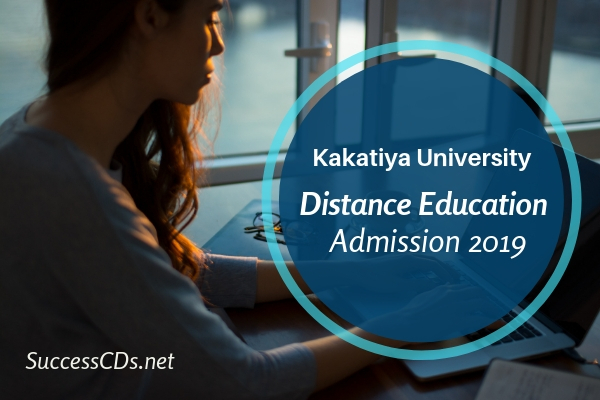 Check more information on KU Warangal Distance Education Courses 2019, application form, admission dates, eligibility criteria, etc. from the page below. Kakatiya University Distance Education (KUDE) was established on 19th August 1976 to fulfill the aspirations of the Telangana people for higher education. The University is committed to meet the augmented demand for the expansion of specialized courses from time to time. Application Forms and Prospectus can be downloaded from www.sdlceku.co.in or can be obtained from SDLCE Head Office, KU or from the SDLCE Study Centres, Registration. Fee for PG/PG Diploma/Diploma/Certificate Courses is Rs.250/-; for UG is Rs.200/- and for M.Sc. Physics, Botany, Zoology, Chemistry/PG Diploma in Guidance and Counselling is Rs.500/-. The fee can be paid through challan at SBH Ext. Counter at SDLCE only or can be paid through DD Drawn in favour of the Director, SDLCE, KU, Warangal from SBH/SBI/Andhra Bank payable at Warangal. List of Study Centres, Fee Particulars, Mode of Submission and other details can be had from prospectus or visit www.sdlceku.co.in.